Nuclear War Now! 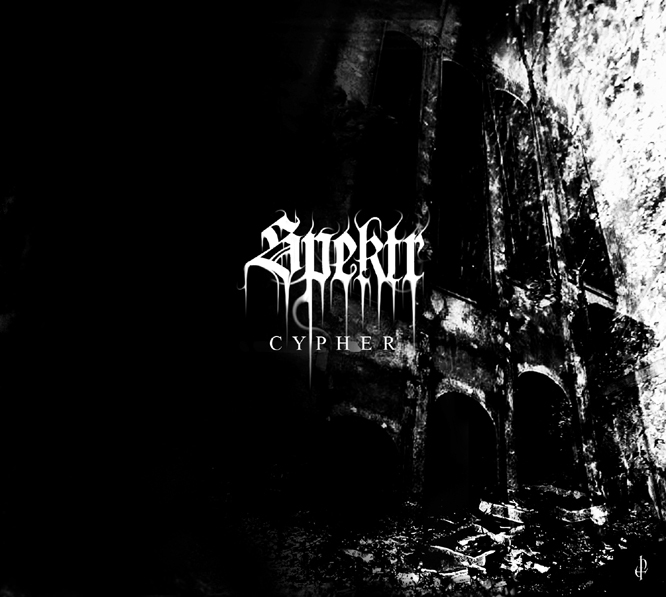 Productions :: View topic - SPEKTR "Cypher"
Posted: Mon Dec 03, 2012 8:36 pm Post subject: SPEKTR "Cypher"
Cypher is an experimental black metal album, recorded entirely without vocals except sampling. The album introduces industrial and ambient elements and as a whole should be considered as a strongly psychedelic release; it produces a feeling, as if the mind of the listener, dragged into the music, were unable of concentrate itself or were experiencing a powerful hallucinogen effect. The band commented: Six Years of burning visions for the Spektr to return wrenched from the hermetic silence of Initiated Temples .The Ectoplasm Cypher thus stands as the Stone-Principle emerging out of Philosophal fumes - the transcended transcription of the most sealed occultism on audio format. Spektr commits, Agonia endorses - I'LL BE RIGHT THERE IN THE AFTERLIFE - and we ain't going nowhere. I'm expecting a lot from this. +1. Mescalyne has been their best and weirdest so far, so hopefully moving in a better direction since NDE. Excellent, definitely interested to check this out ! had forgotten all about this band; used to really like 'No longer human senses'. This is most exciting news in while, well, based off sample.